Some might think social media is only good for constructors (and designers) with nothing better to do than shift through the self-promoting babble found in the constant banter of marketing information on Facebook or MySpace. But they have it wrong. For many project managers, social media is a way to see both the big picture of what’s happening in the industry and eavesdrop on what their competitors are doing. 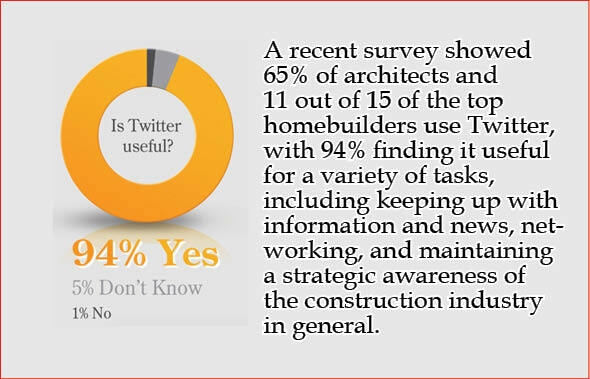 In practice, they are able to mine public information by reading posts and searching keywords to build competitive strategies in an ever changing construction industry. In particular, the simplicity and off-handed comments found in apps like Twitter bring out unguarded exchanges that are telling when seen in the context of a stream of related tweets. This includes inadvertent security breaches by marketing staff and employees about current or pending projects. You might think nothing substantive can be said in 140 characters, but add a consistent presence in a Twitter timeline along with links and pictures and these seemingly innocuous little posts begin to reflect not only a broad view of the industry, but a particular company’s way of thinking. As such, it doesn’t take long to read, recognize, and evaluate the collective thoughts found in the underlying messages that are exposed by this media. This deeper understanding of a group’s thinking is in fact what makes Twitter valuable as a collaborative tool. In fact, any idea that Twitter is just for sending, sorting, and searching messages misses the power of this new media to visually direct a team’s collective consciousness toward a single minded focus. The key to using Twitter as a management tool is to harness this interaction in a carefully controlled Twitter list or account. The objective is literally to crowd source the project from its inception, deeply embedding “buy-in” for team members as they are invited to join as followers. Important is that as followers, they are invited into the group and remain only as long as they add value to the team as a whole. In other words, their tweets become a measure of the value they bring to the collaborative efforts of the team as a whole. In these exchanges, the concise nature of a tweet means project communications are no longer delayed or distorted by staged meetings, reports, proposals, or carefully rendered models. Instead spontaneous messages are sent immediately as part of a continuous flow of input, ideas, and second screen comments that shape the ongoing communications between active team members. The value of Twitter is therefore the immediacy of the media itself. Participating in the conversation is like feeling the pulse of the entire project team, mashed together into a project long stream of consciousness that is visible in the flow of tweets, retweets, replies, hashtags, and comments, supplemented by photos, video, illustrations, and model images that carry their own perceptive insights. 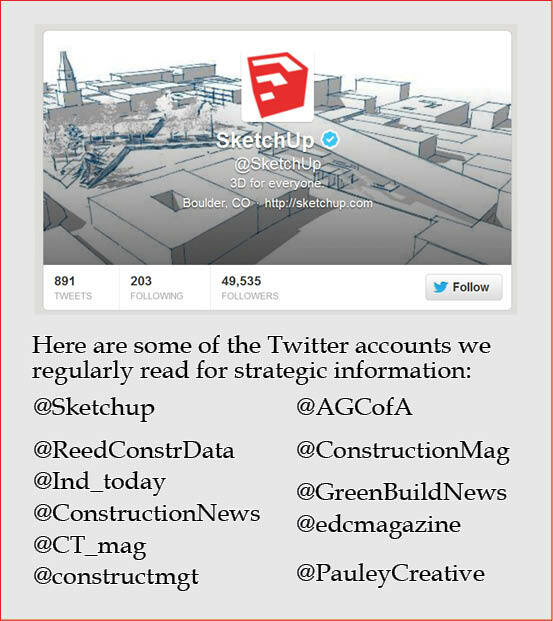 SketchUp adds to these interactions with site scans, photographs, videos, and illustrations from construction models that reinforce content with an immediate visual context for each tweet. Collaboration begins between principals using site utilization models and overlays to establish scope, later in massing studies, simplified design models, and engineering as early images are gradually mixed by select followers with line item specific content from spreadsheets and schedules. 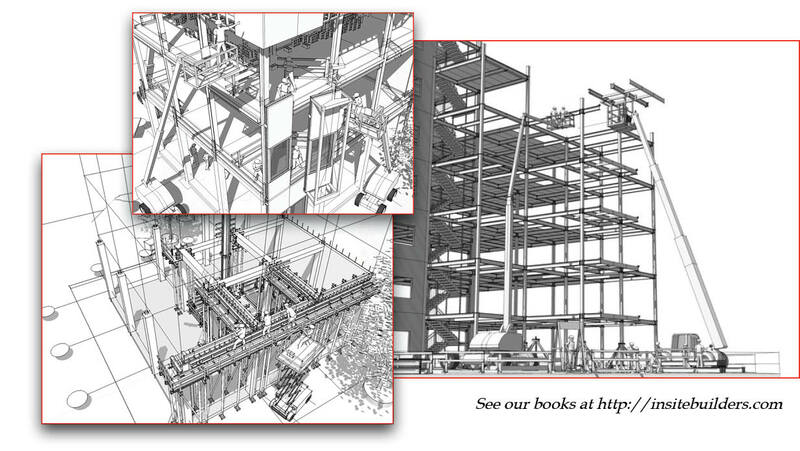 Like the tweets themselves, cumbersome documents are reduced to real time snapshots, visually gif-ifying content by clarifying collaborative exchanges from concept, through construction, and into facilities management. Short message service (SMS), still the fastest way to tweet images and video into a project account. 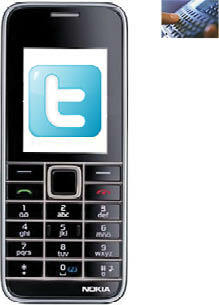 Twitter uses short codes to sync text messages and images directly into an account from any cell phone with a camera. Twitter also has an app that makes tweeting a little more complicated. The app has four icons: Home for your current timeline, Connect to track Interactions/Mentions, Discover as the search menu, and Me for settings and profiles. 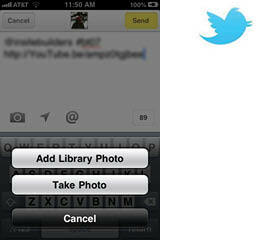 Click the New Tweet icon in the upper right corner to tweet and add a picture, video, or a library image. 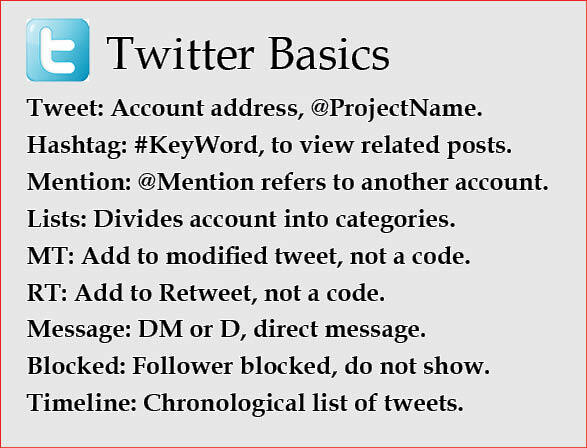 Tweetdeck works pretty much the same way as the Twitter app, except it categorizes tweets into separate timelines. Image attachments are currently limited to Library Photos and Take Photo, but no videos, which eliminates motion captures (except via YouTube). Names have been changed to Home, Me, Inbox, and Search as you swipe horizontally to access adjacent screens. HootSuite adds menu features to manage lists as categories of followers. It has a Compose menu for tweets, with images limited to Take Photo and Choose From Library, again no video, except through YouTube. 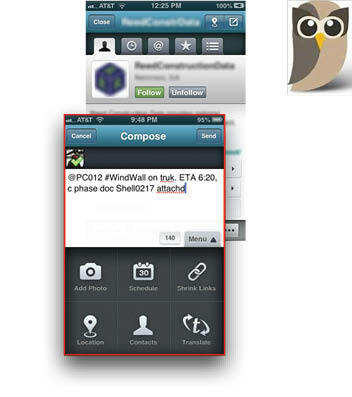 Hootsuite’s menus also include Streams instead of Home, a Search function, Stats, and Contacts. Posterous is one of the most comprehensive of the Twitter apps. 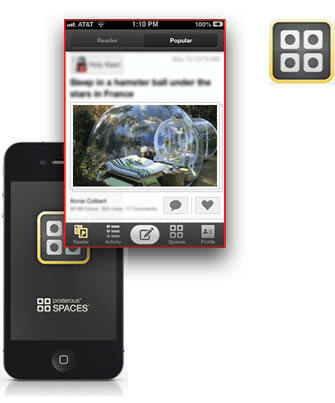 Instead of lists, Posterous uses Spaces to divide content. Each Space is actually a micro-blog/website where any member in the Space can contribute longer descriptive text along with a range of photos, videos, and illustrations. 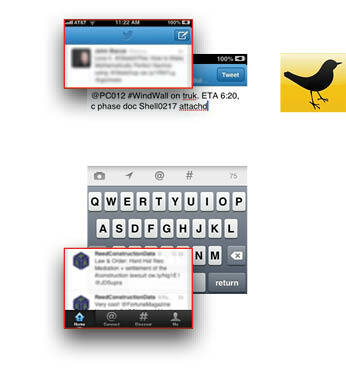 Text and images are posted through tweets, emails, or directly within the Posterous program. In the end, each of these apps has its limitations, with some, like GroupTweets, fading with obsolescence and inattention. At the same time, to maintain the value of immediate and unguarded collaborative exchanges, a Twitter app should be simple and fast enough to serve its purpose as an immediately useable multimedia messaging tool.